Fresh off of their first conference win of the season, the Newberry Wolves (3-5) were able to string together consecutive victories for the first time this season, defeating the nonconference Benedict College Tigers (0-8) by a score of 81-73. The Tigers got off to a quick start, grabbing a 6-0 lead over the Wolves just over a minute into the ball game, but the lead would be short-lived as Newberry would climb back to claim a 10-9 lead four minutes later. Once the Wolves grabbed the lead, they never looked back. 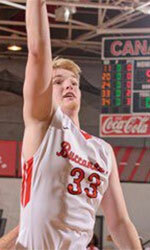 The balanced offensive attack that Newberry has exhibited throughout the year carried them throughout the night, spearheaded by Marshall Lange (6'2''-G)'s 18 points on 6-10 shooting, including a pair of back-to-back three-pointers that capped a major momentum swing in Newberry's favor. Luke Gibson (5'10''-PG-94) was able to break into double-digits yet again following his career night against Mars Hill, scoring 13 points thanks to a career-best 7-9 effort from the charity stripe. 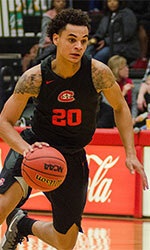 Freshman guard TJ Brown (6'4''-G) was also able to break the 10-point threshold, scoring 13 points while connecting on all three of his shots from long range. Out of the 13 players who logged minutes for the Wolves, 12 were able to contribute on the scoreboard, a testament to the effectiveness of head coach Dave Davis's system in getting the entire roster involved. The Tiger attempted an astonishing 28 more field goals than the Wolves, but it was Newberry who was able to find their rhythm, shooting 48 percent from the floor compared to Benedict's 31 percent. The victory moves the Wolves to 3-5 and earns them their first back-to-back wins of the 2018-19 season. The Wolves will look to push their winning streak to three when they travel to Greeneville, Tennessee to take on conference foe Tusculum on Sunday, December 9 at 4:00 pm.